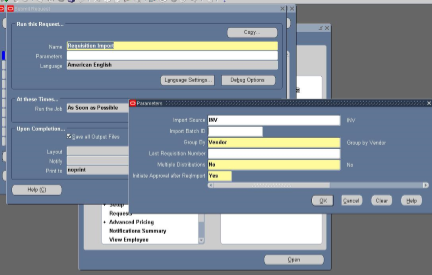 Min-Max planning is one of the three major replenishment methods in Oracle Inventory. The others are – Reorder Point Planning and Kanban Replenishment. Min-Max planning can be executed either at the inventory organization level or at the subinventory level. 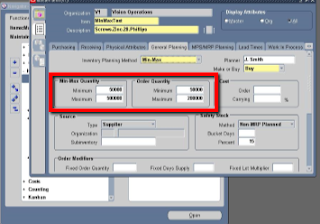 If the Min Max planning is performed at the organization level for an item, then the minimum and maximum quantities need to be defined at the organization level. In this session we shall see Min Max being performed at the subinventory level and so the minimum and maximum inventory levels will be defined at the specific subinventory level. The information shown above is important to the Min­Max process. When the Min­Max program is run, the current stock of the Item (0 in this case since this is a new Item) will be compared to the Minimum Min­Max Quantity (50000) and if the current stock is lower than the minimum level then a Requisition will be created to request the Maximum stock (500000) be purchased. Also please note the Minimum and Maximum Order Quantity defined here as these will affect the breakdown of the Requisition created. 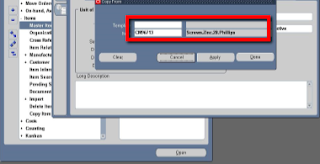 The Restock parameter is very important here and determines the behavior of the Min­Max program. If the program is submitted with the Restock parameter set to No then the report will only serve to show which items need to be restocked. 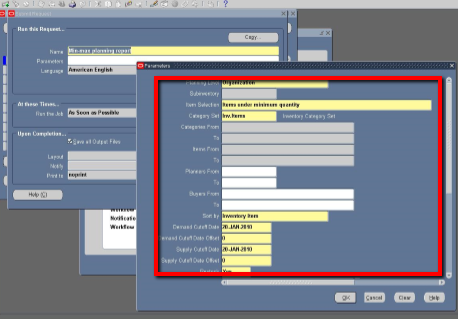 However, if the Restock parameter is set to Yes when the Min­Max program is submitted, records will be automatically inserted into the Requisition Interface table for each Item than needs to be restocked. 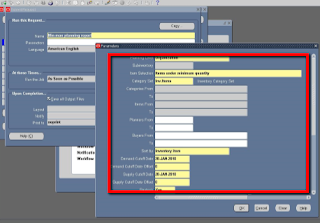 The imported Requisition Lines show that a total quantity of 500000 which is the Maximum Min­Max quantity defined in the General Planning tab of the Item Master form. The requested quantity has also been split into three lines and this honors the Maximum Order quantity of 200000 which is set for this item.